Joe Penhall is a British playwright and screenwriter, best known for his play “Blue/Orange.” Exploring the dynamic of two doctors working with a schizophrenic patient, the play was awarded Best New Play at the Evening Standard Awards, Laurence Olivier Awards and at the Critics’ Circle in 2000. Penhall adapted it for television in 2005. Penhall’s play, “Love and Understanding,” premiered three years earlier and also considered the challenges of two over-worked doctors, not married but living together, who scramble to survive the reappearance into their lives of a narcissistic, sociopathic friend. A younger contemporary of famed playwright Sir David Hare, Penhall continues the examination of the psychological underpinnings of a British society remaking itself in the aftermath of World War II. Like Hare, Penhall can place a few characters in physically claustrophobic situations where they cannot ignore each other and therefore have no choice but to make revelations to the audience, though they remain unexamined by themselves. 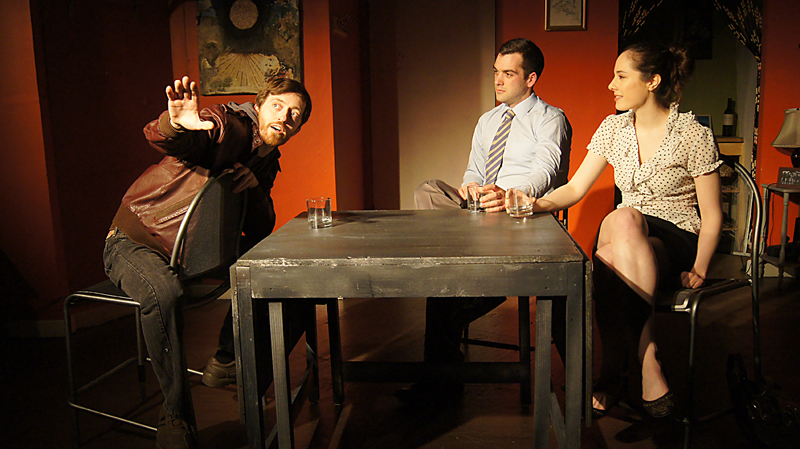 With Chekhovian, split-second twists between dramatic and comedic dialogue, “Love and Understanding” keeps the audience riveted, holding on tightly to the theatrical rollercoaster. Penhall manages to keep secret the level of mental illness, and its sometimes accompanying gift of masterful deception, that drives antagonist Richie for quite some time. Even though Dr. Rachel and Dr. Neal suggest that Richie is unbalanced, it isn’t until Richie makes a pass at Rachel, she tells Neal, and then only a few minutes later Richie denies his actions and turns the entire episode into a decimation of Rachel’s worthiness as a mate for his “best friend,” that the audience can be certain that Richie has been undermining the relationship between his friends all along. If Penhall missteps, it is in confusion over the true apex of the tale’s arch. Several brilliant scenes in Act II, in particular a monologue for Richie, feel unnecessary; I do, however, understand if he couldn’t bear to part with them. Redtwist has assembled a fine trio of players for this treacherously difficult outing. A three-hander is never an easy piece of work for an actor, but the episodic nature of the play’s structure, and emotional shifts that tilt between tears and Pinter-esque, stabbing humor ups the artistic ante. 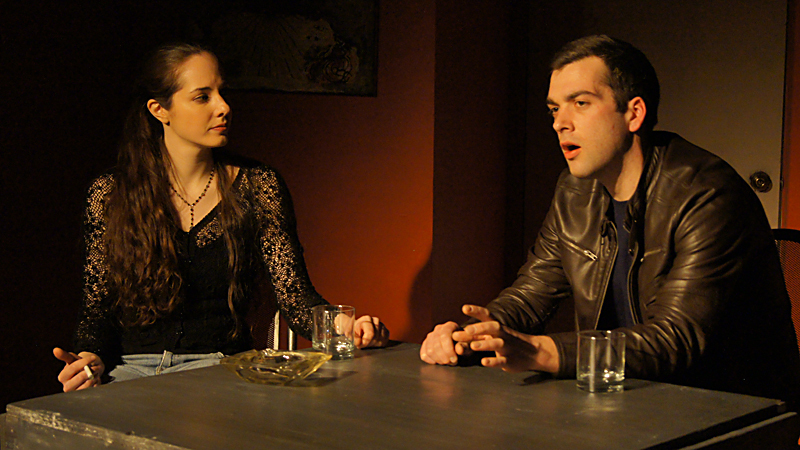 Joel Reitsma, Michael Woods and Stella Martin as Neal, Richie and Rachel respectively, bite into the drama and cry through the laughs. Kudos to them, to director Jaclynn Jutting, and to Redtwist. Redtwist Theatre, 1044 West Bryn Mawr, (773)728-7529, redtwist.org, $20. Through March 24.